In 2013, we wrote about the branding wars between candy bar makers. These disputes are good measure of the boundaries between 3-D trademarks that have acquired distinctiveness (registrable) and those that are functional (not registrable). 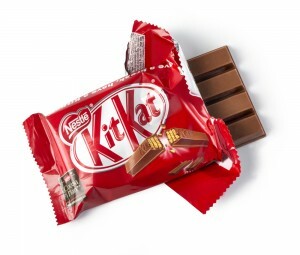 In 2006, Nestlé was granted trademark rights in the “distinctive” shape of its KitKat bar in various European countries. But in 2010, Nestlé attempted to register the shape of its KitKat candy bar in the UK, which Cadbury (owned by Mondelez) opposed on grounds that the shape of the candy bar was insufficiently distinctive to warrant a trademark registration. In a 2014 written opinion, the judge said that Nestlé had not used the candy bar’s shape in promoting it and, in fact, packaged it in opaque wrapping that hid the allegedly distinctive shape. Under European trademark law (and under U.S. law), trademarks are deemed to be indicators of the source of goods and services. If consumers do not rely upon the product’s shape to identify the product’s source (i.e., who made it) then it would appear that the shape is not a trademark. In other words, the UK court has refused to grant Nestlé the same rights that Toblerone has in its triangular shaped chocolate bar, which is a registered trademark. In 2016, the EU appellate court ordered Nestlé to prove that KitKat bar was recognized in every European country and, if so, the manufacturer would be granted a trademark. But, alas, there was no evidence of KitKat’s shape was identified in Belgium, Ireland, Greece and Portugal. No trademark for Nestlé. Both Nestlé and Cadbury (Mondelez) appealed. And now, just this month, the Court of Justice of the European Union rejected both parties’ appeal and sent the case back to the lower court for reconsideration. The EU court upheld the General Court judgment, noting that, given the unitary character of the EU trademark, in order to be accepted for registration, a sign must have distinctive character throughout the EU. As the EUIPO had not adjudicated on whether the mark had acquired distinctive character in Belgium, Ireland, Greece and Portugal, the CJEU found that the General Court was right to annul its decision. The only added nuance, experts say, is that apart from presenting proof of acquired character in all member states, a company can also bring proof of acquired character in the European single market as a whole, or in the different product-based markets that make up the single market. “National borders should not be the only point of reference in the European Union,” Ms. Gallagher, the press officer, explained. Nestlé said the court judgment was not the end of its case. “We believe that the distinctive shape of our four-finger KitKat deserves protection and, following today’s findings, the case will now be sent back to the EUIPO board of appeal to examine the evidence that Nestlé has filed,” the company said. 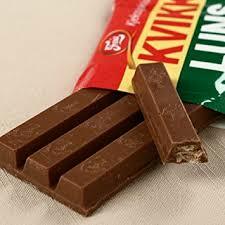 The latest decision may free some companies such as Kvikk Lunsj, a Norwegian confectioner also owned by Mondelez , to sell its similarly shaped chocolate product in the EU. Nestlé is now likely to seek trademark protection for the KitKat shape from individual countries within the EU, which it is permitted to do. — Adam G. Garson, Esq.